With 5.2 fast approaching I’ve been wanting to get my thoughts together on how I should be playing in the last couple weeks before the patch. Are there any reps I should catch up on; do I need to worry about spending currencies or upgrading items; and just in general what do I need to start doing now to maximize my play time before and after the patch releases? This isn’t going to be earth shattering info to anyone who has been following closely, but hopefully it’s a helpful reference. So, It’s Like a Seat of Sound? It’s probably most appropriate to start by talking about the new raid, the Throne of Thunder, as entering and clearing it is the goal for PvE progression. The raid is located on a new island, which can be reached by using a portal found in your faction’s Shado-pan camp on the west coast of Townlong Steppes. When 5.2 releases you’ll automatically receive a quest that will get you there, so no need to write that one down. As the 5.2 raid Throne of Thunder is one continuous, sprawling dungeon, each difficulty will open in its entirety once unlocked. Normal difficulty will be available the first week, then Heroic the week after. LFR will, as usual, be broken up into sub-sections and those will be releasing over time, likely with the first section opening with Heroic in the second week, and a new section each week afterward. Of course we don’t tend to give out patch release dates ahead of time, because things can slip, but right now we’re targeting the last week of February. 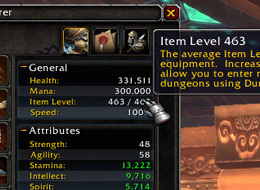 To get into the LFR difficulty of Throne of Thunder you’ll need an item level of 480. 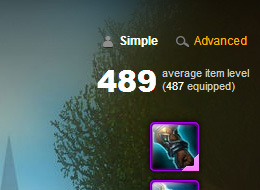 A quick way to find your item level is to search for your character in the upper right search bar of WorldofWarcraft.com. Your item level is a big number in the upper right of your character’s profile. You can also see it in-game by expanding the advanced character stats. The new LFR will require an average ilvl of 480, so get crackin'! If you’re shy of 480 you’ve got some gearing up to do. There are a few different methods of finding and targeting upgrades. The in-game Dungeon Journal can filter by class and spec, showing you what each boss drops that’s good for you, and is actually a pretty easy and straightforward way to create a shopping list. The one downside is you’re not going to have lists of Valor-purchasable items with the Dungeon Journal to compare against. Likely the most popular strategy is to use item database sites like Wowhead.com and look for specific items, and arrange by ilvl or source. They also have a “Find Upgrades” button when looking at an item, which can help provide a list of higher ilvl items in a nice format. Askmrrobot.com offers the same kind of upgrade list too. I’ve also recently been using their new Find Upgrades feature, which has a bunch of useful options. It’s a premium feature so they do charge for it, but it’s free for the first week or so. If nothing else it can be a good option to just help you clear that 480 hurdle. Like prior raid tiers we’re down-converting Valor to Justice with the patch. This means any Valor you have before the patch will become Justice, and any Justice over the cap will be converted to gold. There is a difference this time in that current Valor items are not being changed to cost Justice, and instead their cost is just being reduced (25-50%). That means you’re not going to benefit by waiting for the down-conversion to pick up any current Valor items. You’re going to want to strategize spending Valor beforehand, if there’s anything you want to buy with Justice (and there’s new Justice-bought heirlooms coming in 5.2), or maybe even if you want the gold. With both currencies at cap you could make around 1,400 gold with the conversion, so maybe that’s even a consideration. After the patch you’ll need to build Valor back up if you want any Valor items of course, but at a reduced cost it may be an option if you’re still looking to get over that 480 hurdle. Personally I’m not really looking to pick up any Justice items, so my plan is to spend all of my Valor before the down-conversion, and the next section describes what I’m likely to spend the majority of it on. Valor is no longer being converted to Justice with the release of 5.2. Find out more in the forum post announcing the change. Item upgrades won’t be available in 5.2, so getting those upgrades done before the patch hits is probably a good idea. Upgrades are likely coming back in 5.3 (at least for PvE), but spending the Valor now on upgrading pieces you don’t expect to replace quickly is pretty safe. Of course you could always get that lucky boss drop that completely demolishes your fully upgraded item, but those kinds of situations are par for the course. This is one place where the Askmrrobot upgrade recommendation tool is pretty helpful for me. The rating on how best to spend Valor is quite useful. I’m over 480 so I’m personally just looking at spending Valor on upgrading my best items now. 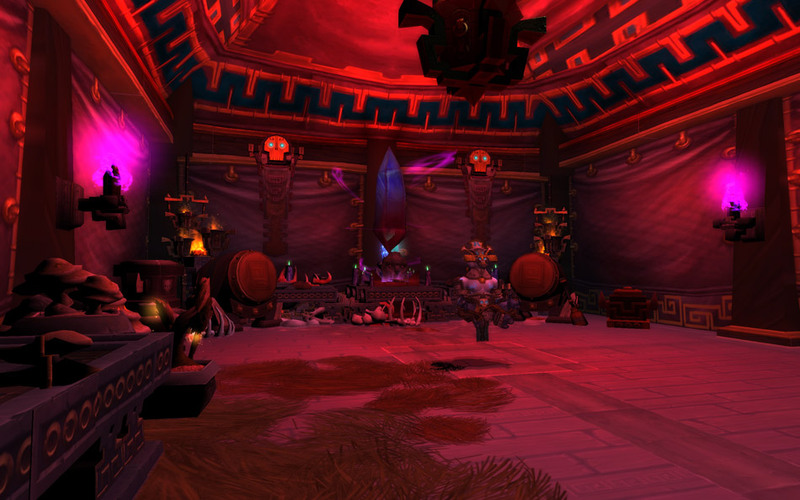 Throughout Mists of Pandaria we’ve all been working to collect Lesser Charms of Good Fortune. Once a week there’s a quest to exchange 90 Lesser Charms for 3 Elder Charms. The Elder Charms can then be used to get an additional chance at loot (bonus roll) from raid boss kills. In 5.2 the weekly quest to turn in the Lesser Charms changes, and will instead give you 3 Mogu Runes of Fate. The Mogu Runes of Fate can be used the same way, on bonus rolls, but only in the 5.2 Throne of Thunder raid and on the two new world bosses (Nalak and Oondasta). 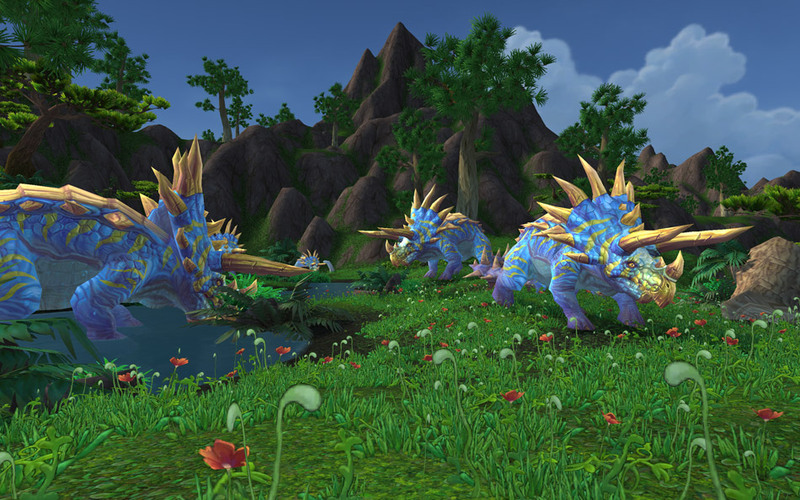 Elder Charms will still be available for the 5.0 raids, but they’ll instead be dropping from mobs in the new outdoor Thundering Isle zone. There are a few different ways you can use this information depending on how well you’re geared, and how well geared you want to be before the patch. The new raid will require 480 item level for the LFR, and so if you’re at or above 480 you’re probably wise to just hold on to your Lesser Charms. If not, those bonus rolls may well be the quickest way to getting into the Throne of Thunder. Personally I’m hanging on to mine. I think spending some Valor is probably the wiser course for getting over the hurdle. I do plan to still be doing dailies in 5.2, but I have enough reps at Exalted now that I don’t expect I’ll be coming across enough Lesser Charms to be overburdened and not working through my stack each week. As I briefly mentioned in the Currency Conversion section, 5.0 Valor items are seeing their prices reduced by 50%, and those added with the 5.1 factions (Operation Shieldwall and Dominance Offensive) will see their prices cut by 25%. In addition, the chance to get drops in the 5.0 LFR raids is being greatly increased, including the chance to get an item when using an Elder Charm for a bonus roll. All of this means gearing up alts will be a bit quicker, and if you’re not at that 480 requirement yet it should be pretty fruitful to run those raids for a few more weeks to get you there. This isn’t really anything you can prepare for, but I think it’s at least worth mentioning here. In the Throne of Thunder, the Normal and Heroic raid bosses have a chance to drop an item with a new Thunderforged designation. Thunderforged items are 6 item levels higher than their standard counterparts. Bonus rolls can award a Thunderforged item (again, only in Normal and Heroic), so probably the only thing to plan for ahead of time is having Lesser Charms ready and waiting to exchange for Mogu Runes of Fate. As we’re all aware, Wrathion, the Black Prince, using his voodoo crystal ball of Black Dragonflight future-sight has determined Azeroth is headed for (more?) doom and despair. To help solve this problem he wants to give you a Legendary item, but only after you’ve gone around terrorizing the world and killing a bunch of people. Fishy. Over the course of each patch he gives you some tasks for new toys, ultimately leading to your very own Legendary item in (presumably) patch 5.4. Considering the prismatic slot is usable on 5.2 raid weapons, my recommendation would be to try to catch up if you haven’t yet, but balance it against other priorities. You’d be pretty lucky to get a weapon drop your first time into the new raid, and if you’re running LFR the raid is broken up into smaller sections which open one at a time each week. So if you have more pressing matters, this is one thing you can continue to work on even after 5.2 releases and probably not be too far behind. Well at least they don't have robots full of blood. Nevermind. In 5.2 you’ll be able to champion a Mists of Pandaria faction (except for Black Prince) by choosing a new option added to your reputation list (in the same list where you can show that rep as your XP bar). By championing a faction you can earn 300 reputation for the first Heroic dungeon each day, and 200 for the first Scenario. This allows you to augment (or avoid) daily quests with those factions to get to Exalted that much quicker. In addition, if you have The Tillers at Exalted and all of your farm plots unlocked, you’ll be able to take on a work order each day from one of the various factions (except for Black Prince) which will reward you with additional rep. The new reputation and quest hub in 5.2 is pretty cool; it unlocks and builds up via server progression a la Isle of Quel’danas. What will be a lot cooler for some of you though is that there are no Valor items associated with the rep. At least this time around, all the Valor items are tied to a raid reputation, which you can earn even through LFR. It will require boss kills though, so no ICC rep runs. I know some people are already saying they’re going to stop doing dailies until then. I don’t know; I’m already playing more or less every day, doing a daily hub here and there isn’t going to break my time-bank, and I’m still going to be hitting Exalted quicker than if I was waiting. Up to you, but I’m hoping to tackle as much 5.0 content as I can so that I can focus on all the new stuff once 5.2 hits. I think that about does it. You’ll of course want to look at mixing up food and elixirs, and gathering mats for crafted items. 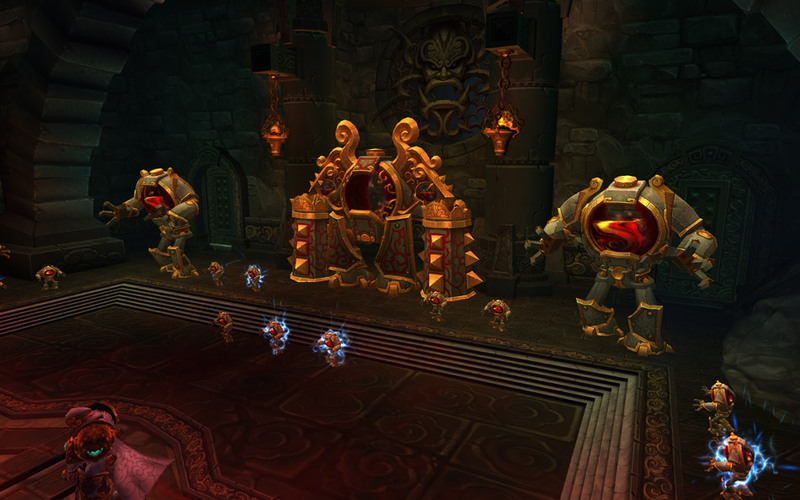 There’s also the new the world bosses, but that’s not content you really need to prepare for specifically, at least not to the same extent you need to gear up for a raid dungeon. It may be worth noting though that one of the world bosses, Oondasta, is intended to be crazy-difficult. If you’re not in an organized Heroic-level raid group and teaming up with other Heroic-level raid groups, you’re going to want to stick to the other world boss, Nalak; although, keep in mind Nalak unlocks with the island’s server progression, so it’s something to look forward to. Sha of Anger still has Tier-14 and Season-12 items, so that’s certainly something a lot of people will continue to hit up, and I expect it to stay pretty active even well into the new patch. Let’s open it up to your comments! 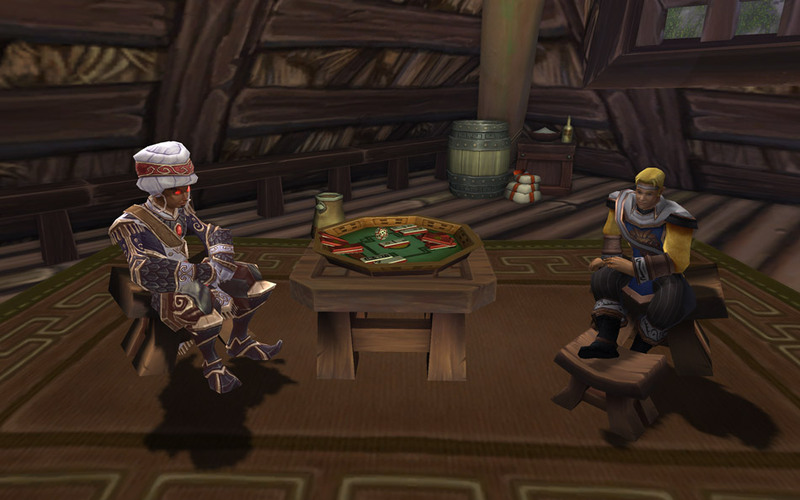 How are you planning and preparing for 5.2? Did I miss something? Any tips or tricks on how to maximize your time as you progress? Thanks for reading, may all your bonus rolls be BiS, and I’ll see you in-game! Micah “Bashiok” Whipple is a Community Manager for World of Warcraft and thinks you’re just the bees knees. It’s worth mentioning though that he’s deathly afraid of bees, as well as various types of pivotal hinges.